The settling fog and diminishing light had reduced the visibility. The cold breeze caressed the golden leaves that hung lifelessly on the twigs of the trees! Besides the rustle of the leaves and grey smoke wafting from the hearths there was stillness all around. A lane of shanty huts where a small population of the laborers stayed was reminder of the grisly poverty in the vicinity of Bir Chand Patel Road , an affluent part of Patna. Most of the big government offices, Hotel Chanakya and bank and shops in the town are located here. Ramesh , who was barely twelve year old lived with his sister Kusum in one of the huts with his parents who were laborers. His mother Shanti also worked as a part time maid in the nearby government colony to augment the income of the household as she wanted to educate her children so that they could lead a better life! Ramesh had spent the day in school and picked up his study material and moved to the street lamp post and bent over his books to study. The hut just had a lantern that was turned off by 9 PM to save the kerosene. The cold weather and lack of lighting had not deterred Ramesh’s resolve to achieve something big in life. There were days when he had to go almost empty stomach when earning was not enough! The mosquitoes were vicious but Ramesh would light up the dry leaves to create a smoke to ward them off! His struggle continued till one day he learnt that he could one day become engineer if he entered IIT! Ramesh fared well in the primary school and in the evening he started visiting the mushroom of coaching centers located in Patna to gather more information. While still in school he took up the job of sweeping the classes of one such coaching center to clean the classroom s when the students had left. Most of these centers charged hefty fees from the students so getting admission was next to impossible! He sometimes waited outside the class rooms and would listen to the instructors. He picked up rags of papers and took his notes on these papers and practiced the problems at night when everyone had slept. Two more years passed and one day when he was returning from the coaching center he came across another boy who was a year older to him. He mentioned that he was studying in a coaching center called ‘Super 30’ where his coaching was done by the institute itself! Even his boarding and other basic needs were being taken care of the center. Next morning he set out for the ‘Super 30’ center with his mother to meet Mr Anand who was running the place. His mother narrated their story and Mr Anand was touched. He along with his colleagues administered some academic tests and by evening decided to take Ramesh in the next batch of aspirants. Next two years he worked extremely hard and even in most trying circumstances never gave up hope. The day the results of IIT entrance examinations were declared was a ‘red letter day’ in Ramesh’s life. He had qualified with an AIR ( All India Rank) under 500 and his dream of doing something big in life had donned the new wings! PS: 1. 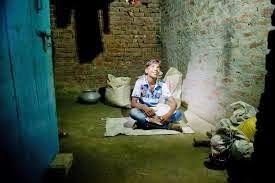 This is a factitious story based on closely observing some of the most deprived people in the most backward places in India who have realized the worth of education which can act as a ‘ game changer’ in today’s world despite growing inequalities. This story was really motivational to read. It is very easy for anyone to get distracted by problems, but Ramesh kept at it and achieved what he wanted. Kudos to you Rahul ji for writing it. This is inspiring! Keep it up, Rahul! Yes super 30 is doing a great job,what a nice,noble thought. Wish we had more such noble souls who can bring about positive changes! This was such a touching story Rahul and also very inspiring. Good ro see you after a while Jaishree inspiring me further to write! An inspiration and a message just in time for me when I have found a fabulous teacher to coach our helper's boys, hope I too see such a day for these boys. Thans Mr Chowla! It is good to see more such people getting what they deserve! and here we are with everything at hand and yet no will power or the desire to be better. This was an inspiring one! So true Red! Thanks indded for those words! Thanks a lot for reading and liking the post Divya:)Yes this was not a real story, but very close to real one! Wonderful story about the unsung heroes of India. Education really is a life-changer! Really inspiring story. My father used to tell us that he often had to study under street lights, because of financial problems. He was bright and he studied well, and passed out with flying colors. His professor was very keen that he should get into medicine, but because of family responsibilities, my father chose to join the army. Such experiences have been part and parcel of life for most middle class people in those days. He would tell us to be committed, and study well for we had all the comforts in life. Nice story, and I could easily relate to it. A big thanks Rama for having found resemblance to some real life incidents! Those who have braved the odds are definitely worth emulating! True...could be very close to a real one. We see shares and likes on FB where a cobbler's daughter cleared the IIMs or IITs and these incidents come from stories like this. Very inspiring. Only when we have to fight for something and earn it with a lot of effort, do we realize the importance of it! I feel honored to have a reader like you, Radhika:) Thanks a lot! Welcome to my blog! A huge thanks for those encouraging words, Vikram! Some of us have it so easy and yet others have to struggle so much to achieve their dreams. Lovely inspirational tale, Rahul!